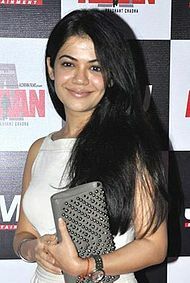 Shweta Gulati worked in a call-center when she attended the 'Shagun' audition. She is a lover of dogs. Shweta Gulati organized the real show "Zara Nach Ke Dikha", "Comedy Circus" and "Dekh India Dekh". She also organized the Gold Tap 2010 red carpet. She also acted in a few games. His first piece was 'KKK ... Kiran'.